Tri-Valley Cares Executive Director Marylia Kelley speaks to NBC Bay Area Senior Investigative Reporter Stephen Stock. Kelley worries about what the new EPA PAG plan will do to her community. “The health of the workers and the health of my community and my family are literally put at risk when you make cleanup standards more lax,” Kelley says. It’s not just communities like Livermore that are at risk. Radioactive contaminants are all around us - in university research labs, hospitals, and factories. UC Davis has plutonium buried on site. General Electric left radioactive material near Sunol after operating four nuclear reactors there. There have been repeated findings of radium on Treasure Island. Radioactive materials are transported worldwide on roads, railways and ships. According to the World Nuclear Association, there are some 20 million shipments every year. During a radiological emergency, radioactive material could be released into the rivers, lakes, and streams used by public water suppliers. Using the best available research, EPA will release, for the first time, non-regulatory guidance that authorities can use to protect residents from experiencing the harmful effects from radiation in drinking water following a nationally significant radiological emergency. EPA anticipates the release of the non-regulatory guidance by the end of the calendar year. At the University of Santa Cruz, Daniel Hirsch is astounded when he looks at the new plan. (From left) Daniel Hirsch and Stephen Stock. Hirsch teaches Environmental and Nuclear Policy to graduate students at the UC Santa Cruz. “When I looked at the table of numbers that they were proposing and compared them to the Safe Drinking Water levels, I almost fell off my chair. What the EPA proposal is doing is allowing you to drink, in a single glass of water, as much radioactivity as you would normally be allowed in an entire life time,” he says. 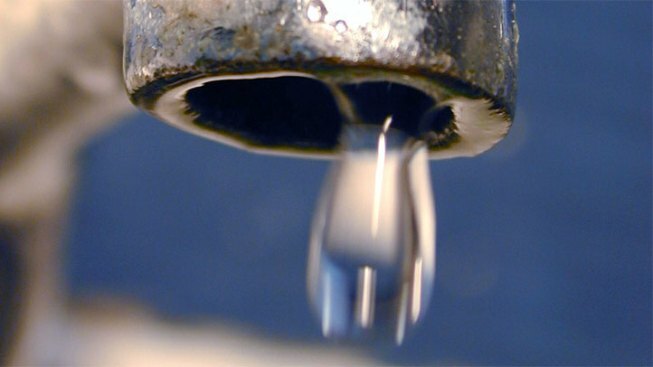 The Safe Drinking Water Act sets Maximum Contaminant Levels, or MCLs. 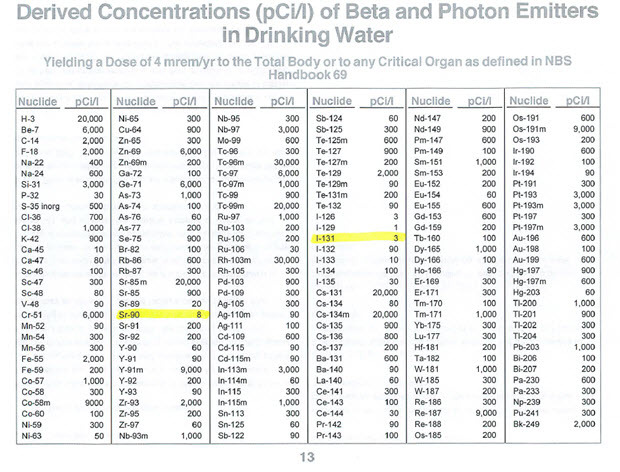 The table below shows those limits for radioactive contaminants, known as radionuclides. When contaminant levels exceed the limits, officials “take action” such as provide bottled water to a community or evacuate residents. The table below shows EPAs proposed limits following a nuclear accident. There are different numbers for pregnant women, nursing women and children. Compared to the Safe Drinking Water Act, the level for strontium-90 is almost 1,000 times higher, for Iodine-131, almost 3,500 times higher. The opposition to the EPA plan is growing. It currently includes 60 environmental groups, Senator Barbara Boxer, and Asst. New York Attorney General John Sipos. When the EPA posted its plan for public review, comments opposed to the measure were more than 62,000. In favor: about six. 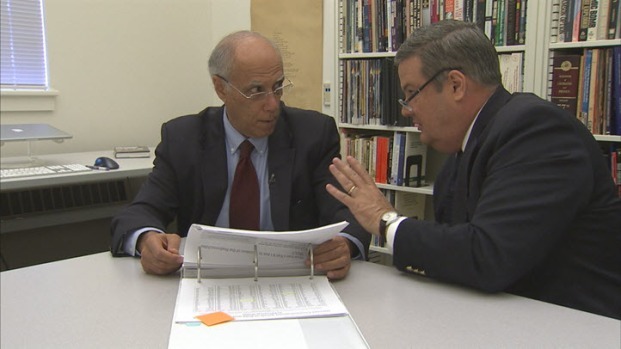 The Investigative Unit reached out to scientists at dozens of universities across the country. The only clear verdict from the scientists we surveyed was that the EPA documents were complex and difficult to navigate, even for scientists with PhD’s. It also seems clear that not everyone at the EPA is in agreement over the new proposal. NBC’s Investigative Unit obtained internal documents in which the EPA’s own experts and lawyers question the new plan, and how it might undermine the Safe Drinking Water Act. In light of all the controversy, why won’t the EPA sit down with the Investigative Unit and explain what the agency is doing and why?